Ok not so much a story but a youtube clip of a favourite movie of mine: shutter Island. Watch the clip and think about what is being said. What did you think? The question was asked, “how pain enters the body”, the response, “it depends on where you’re hurt.” The reply, “no it has nothing to do with the flesh the brain controls pain, it controls fear, anger everything.” This may be somewhat simplistic as there is more too it than that but it holds some truth. It does depend on where you’re hurt to an extent but it is a contextual decision by your brain to determine whether the area that hurts is interpreted as threatening. It also highlights that there are educational tools all around us we just need to open our eyes to it. If you look at particular movies such as shutter Island, Inception and the Matrix there are references towards pain and the mind-body connection. Take note of the hidden messages in movies. So what is pain? What’s the point of it? So pain is a good thing then?? Yes pain is really important. 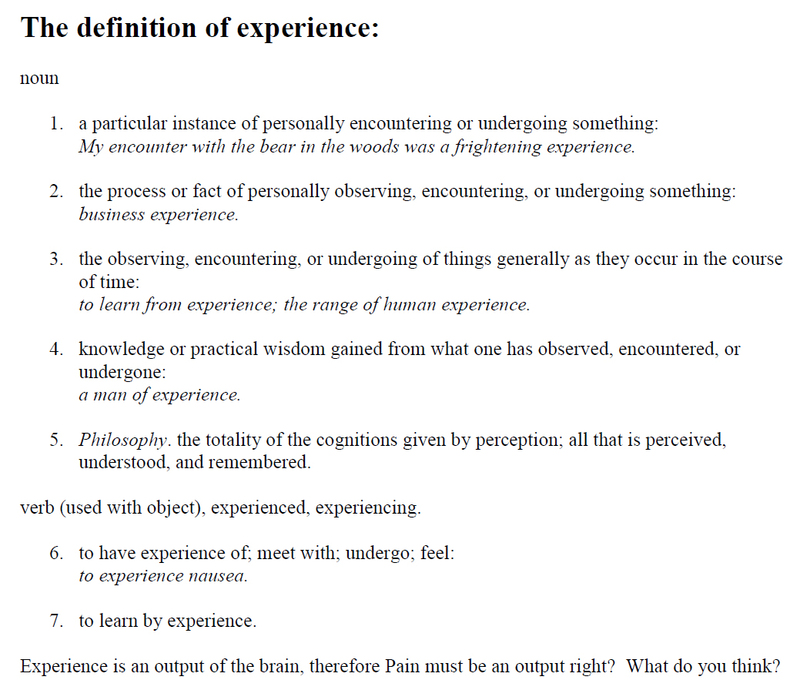 Can you imagine if you didn’t feel or experience pain? It would be very unpleasant as you would not know if you were doing damage to yourself. In contrast to that, constantly having pain can also be very unpleasant. Pain is a protection mechanism, it alerts us to potential and actual damage. This means that you can have pain in the presence (or not) of tissue damage, which also means that in some cases it is not a good measure of the state of the tissues because you can have lots of pain and not have tissue damage and have tissue damage but have no pain. This is pretty well documented now in many texts. Are you saying I can experience lots of pain and have not hurt my tissues? Well yes I am…… Let me explain…. This story came from a hospital department in the uk: A builder was up a ladder it was at the end of the week and he was under pressure to finish a job by the end of the day. As he was coming down the ladder he jumped off and saw his foot heading for a nail which went through his boot. The man was in excruciating pain and had to be sedated when admitted to hospital. When his boot was removed, what do you think the doctors found? The nail had gone between his toes! It was the visual perception of threat of the nail going through the man’s boot that made him think that he must have sustained severe tissue damage, at the time the experience was very real to him (reference). The nail went between his toes! In contrast there have been many accounts of patients sustaining serious injuries that would be expected to be extremely painful. A report in the USA described a construction worker who had unknowingly shot himself in the head with a nail gun and who was unaware of the injury. 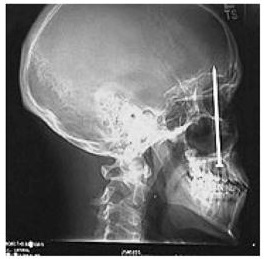 He perceived a toothache and went to a dentist 6 days later and low and behold a nail was found in his head!! In his head! The patient apparently was completely unaware of the injury and attributed the sensation to more familiar sources, toothache (reference). There are lots of other examples such as soldiers losing limbs in the war and not needing pain medication. The understanding was that the perception of threat had diminished so much because the soldiers were returning home rather than facing another day of surviving death. Oi brain! Can you make a decision on this? So what should we make of that??? Well think of it simply – the brain is the boss, our tissues are the workers, our nerves are the delivery men. The boss usually has the final say on what should be done. Our tissues are being monitored all the time, cells constantly communicating, nerves delivering messages, keeping our brain informed about what is going on around us such as the cold wind we feel on our skin, the pressure of our bum on the seat, the texture of a dog’s fur, the bleedin nail in our head??? Everyday things that feed into our subconscious brain are filtered out as not so important allowing us to function at our optimum. When we sustain actual damage such as in an acute injury this sets of a cascade of events collectively called inflammation. It also excites nerves that send messages informing our brain that something has happened which is not part of the stuff that should be filtered out. When this happens you are likely to feel pain, this is called acute pain and it might feel like a dull throb or a sharp type pain. However, the final decision on whether you experience pain is determined by the brain. Ok, so what’s the difference between acute pain and chronic (persistent) pain? Well acute pain is usually in the presence of tissue damage and it tends to be short-lived lasting about 3-6 weeks after which tissues in most cases have healed. Chronic pain or more appropriately persistent pain is when pain lasts beyond the normal tissue healing time frames, more associated after a 3 month time scale. We have to consider that pain at this point is not necessarily associated with the tissues. So the brain makes a decision on your pain? Yep the brain draws from many different components to create a picture and an output, in this case pain, it does this at lightning quick speed and subconsciously. Feeling is just one part of the pain experience there are a whole host of other aspects that are involved. uh, so why does this happen? That’s a really great question! Pain is contextual, pertinent to a variety of factors including physical, environmental, emotional, behavioral, memory and stress also playing a large part. 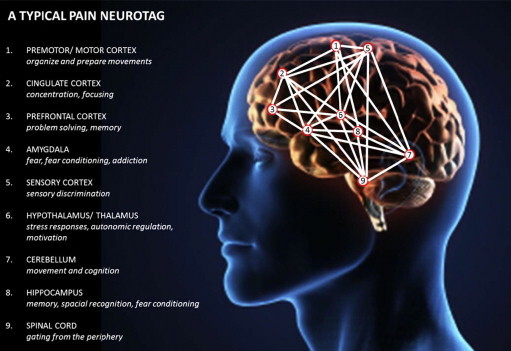 Remember the brain builds a picture and if it perceives the incoming information as threatening drawn from all the components mentioned above, the brain will produce pain. Research is exploring a lot of areas regarding pain including how other systems of your body are involved and how our lifestyles, diet, stress and sleep have an affect on your pain levels. So why is persistent pain persistent? That’s a topic for the next post looking at the biology and plasticity of the nervous system. Instead let’s finish with a final story. 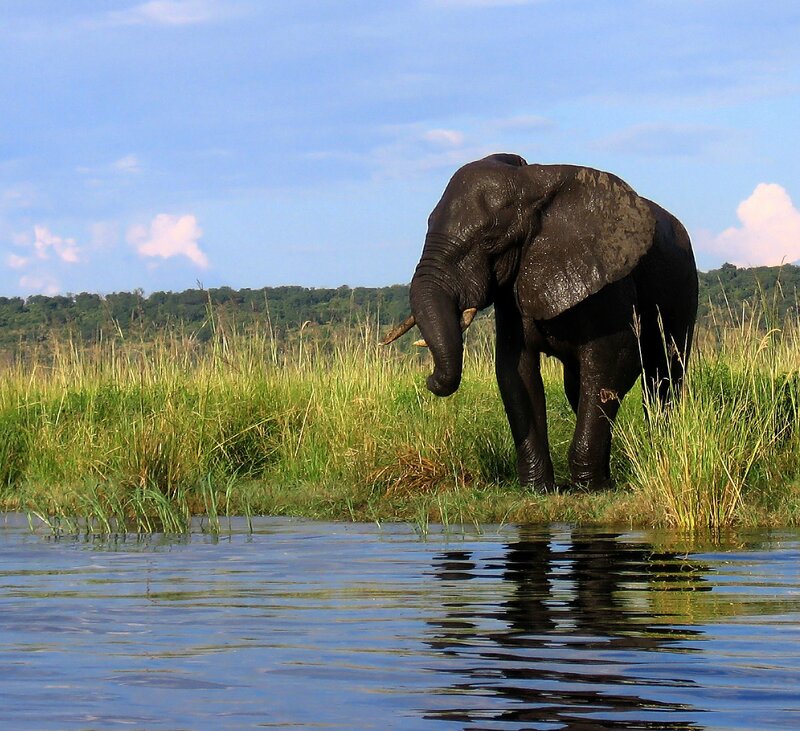 When I was in Africa I captured this picture of an elephant washing himself, what was more amazing was when he sprayed us with water after we got too close! I’m pretty proud of this picture because there is no other like it in the world, it is individual to me the meaning of it, the point in time, the right moment, the uniqueness of the picture. Pain is the same it is individual to you. Let’s try a little experiment, if I asked you not to think about elephants for the next minute what do you think you might think about? Did you think about elephants? I would suspect that you most likely did for one moment. Why did I put this up? Well it explains that when you continually relive an experience, thought, feeling or emotion it becomes easier to recall/relive it despite you trying to forget about it. We have all had the really annoying song playing in our heads that we try to forget but we just keep singing it to the point of frustration. Pain can present in the same way, becoming persistent. The biology of persistent pain is what I will be talking about in the third part of my pain series. Remember pain is a sensory and emotional experience. The above examples highlight that tissue damage is not equal to or necessary to experience pain. Do you want to read some more pain stories? There is a great book by Lorimer Moseley called Painful Yarns. The book tells of specific stories of when he was growing up and walking in the outback of Australia and how he uses them as a metaphor to explain the biology of pain. Got any comments you want to make? You can post them below or up on the facebook page.